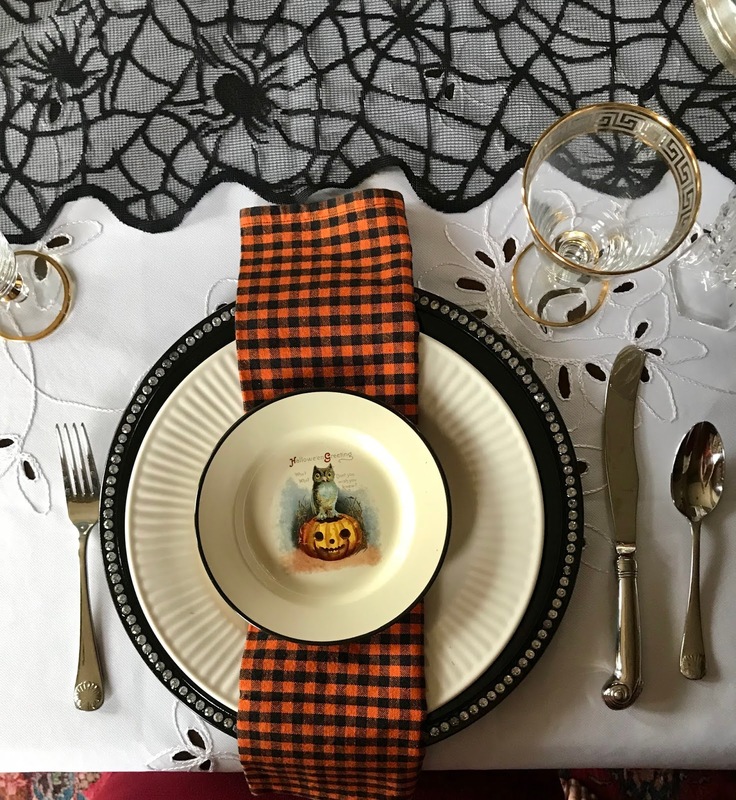 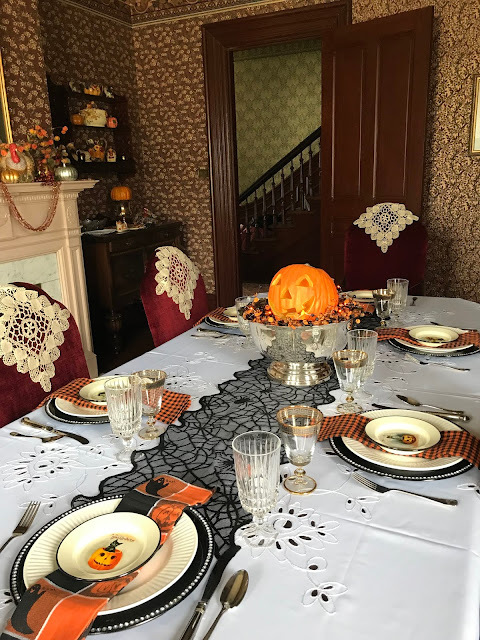 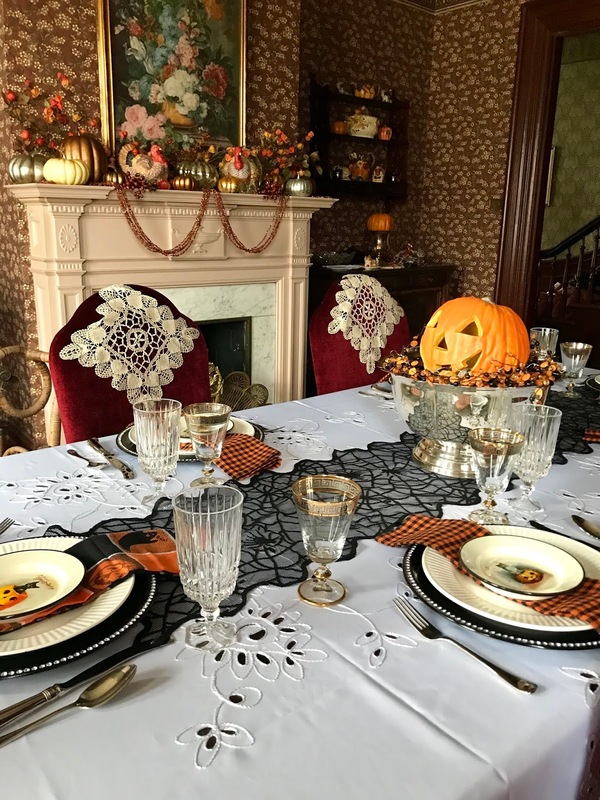 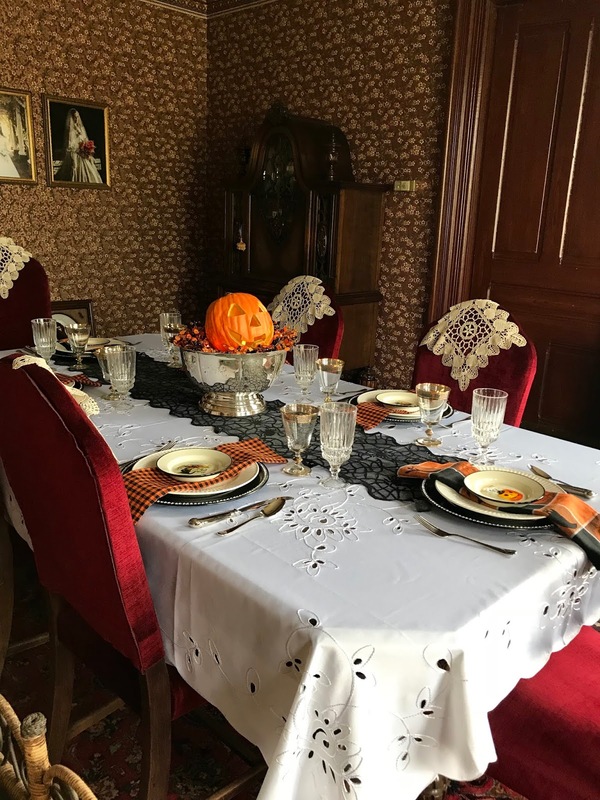 Well, two grandsons and two hurricanes have slowed me down, but I still have a Halloween Tablescape to share! 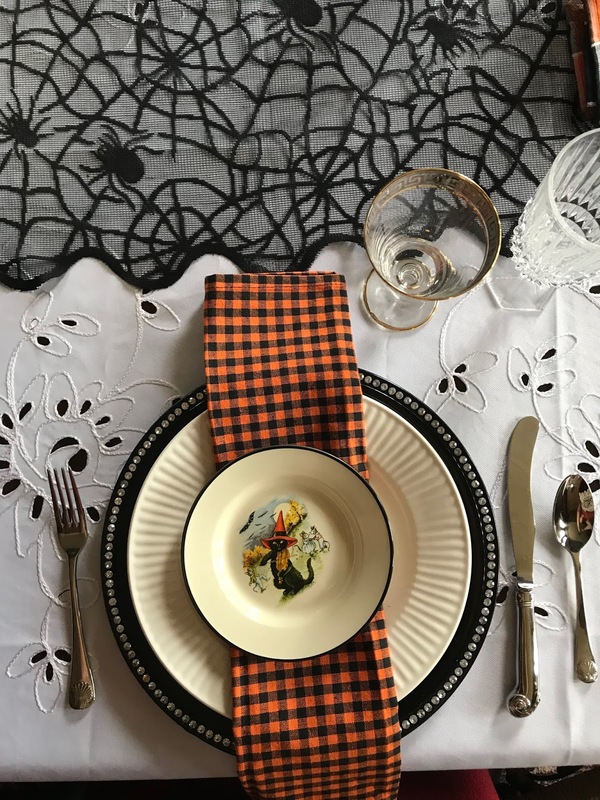 I sound these cute appetizer plates at World Market and they were 40% off! I used a white tablecloth with a black lace cobweb table runner. 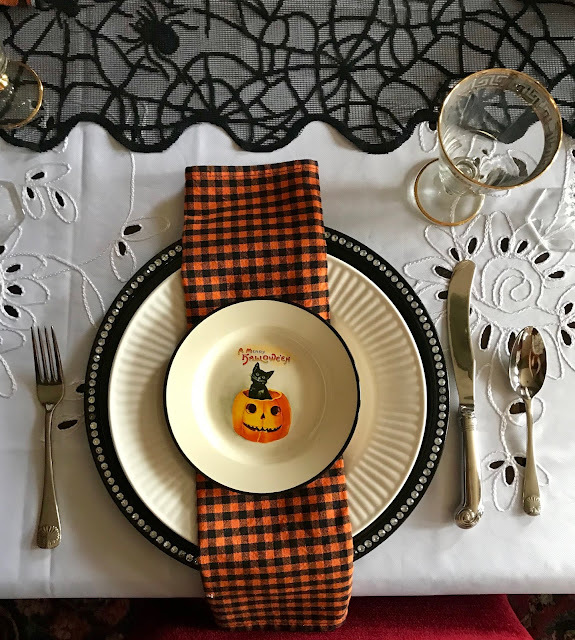 Black and rhinestone chargers with Gibson Claremont plates were topped with orange and black Halloween napkins, and finally the new plates. 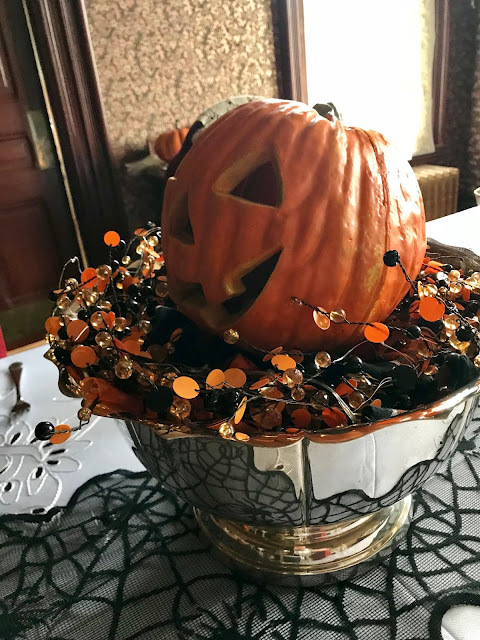 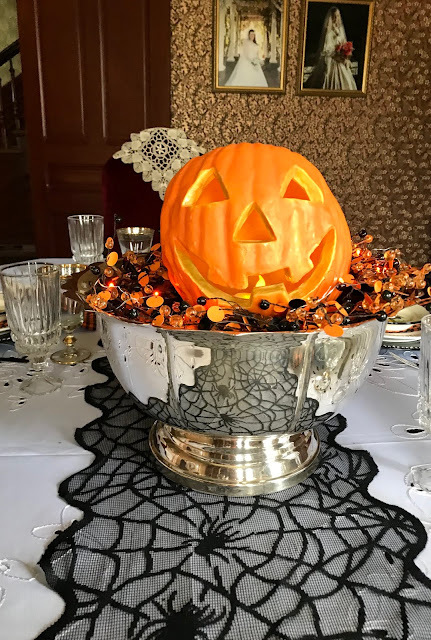 For my centerpiece, I used a punch bowl, a wreath and a faux Jack O' Lantern with some wire lights. 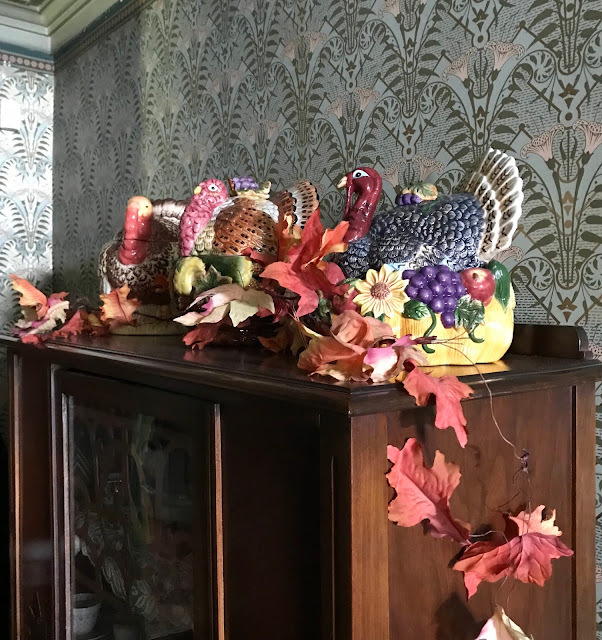 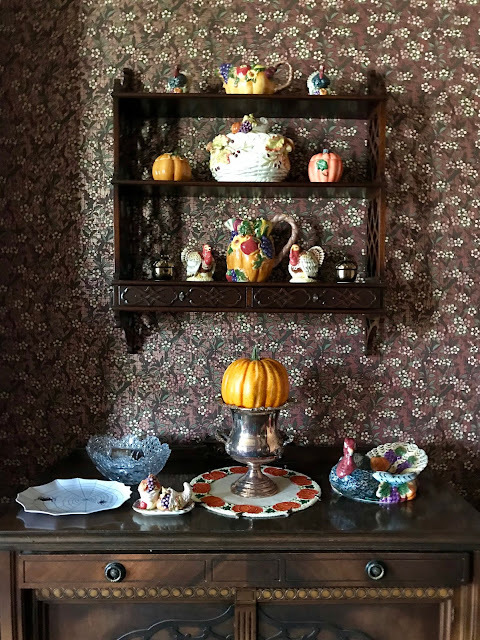 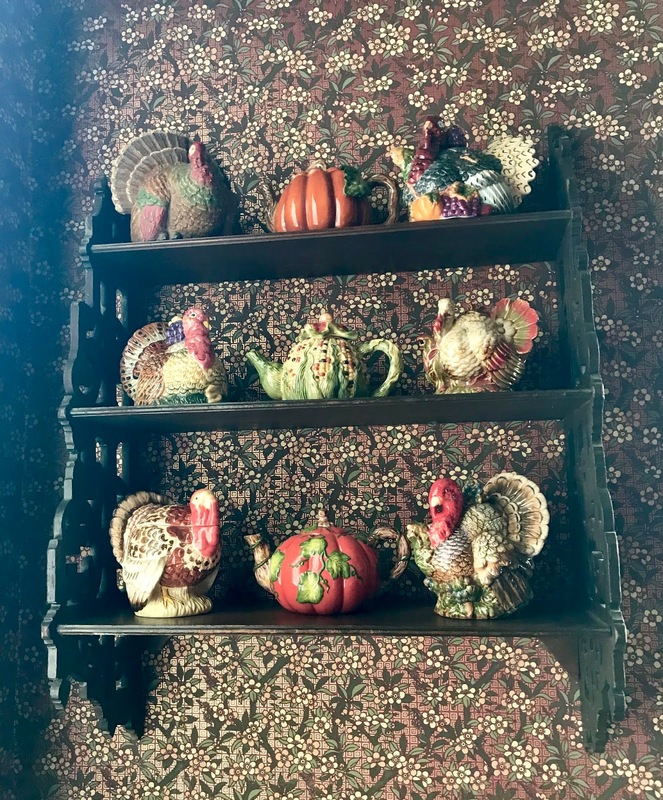 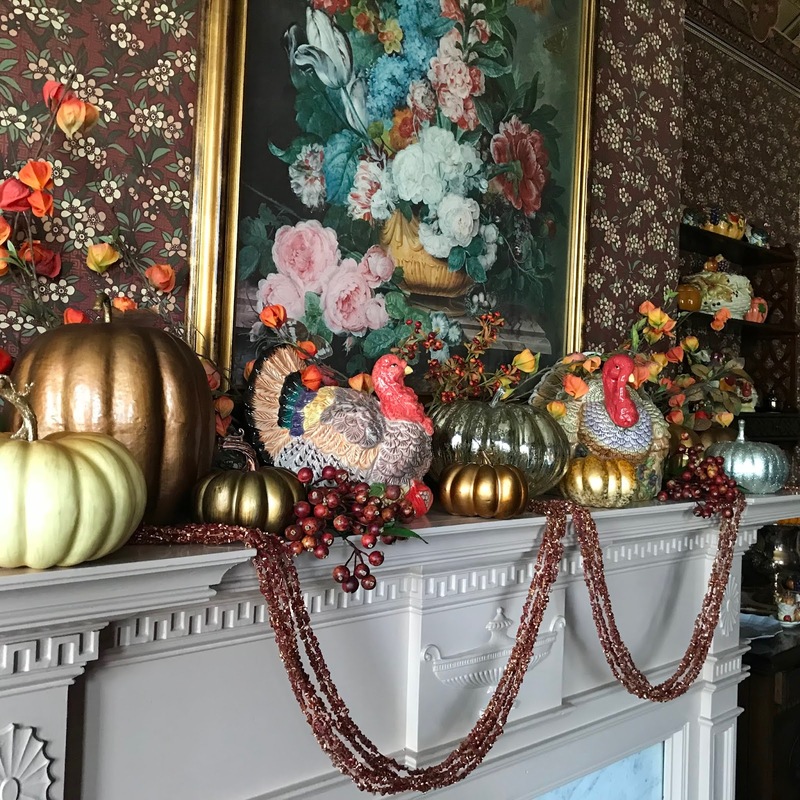 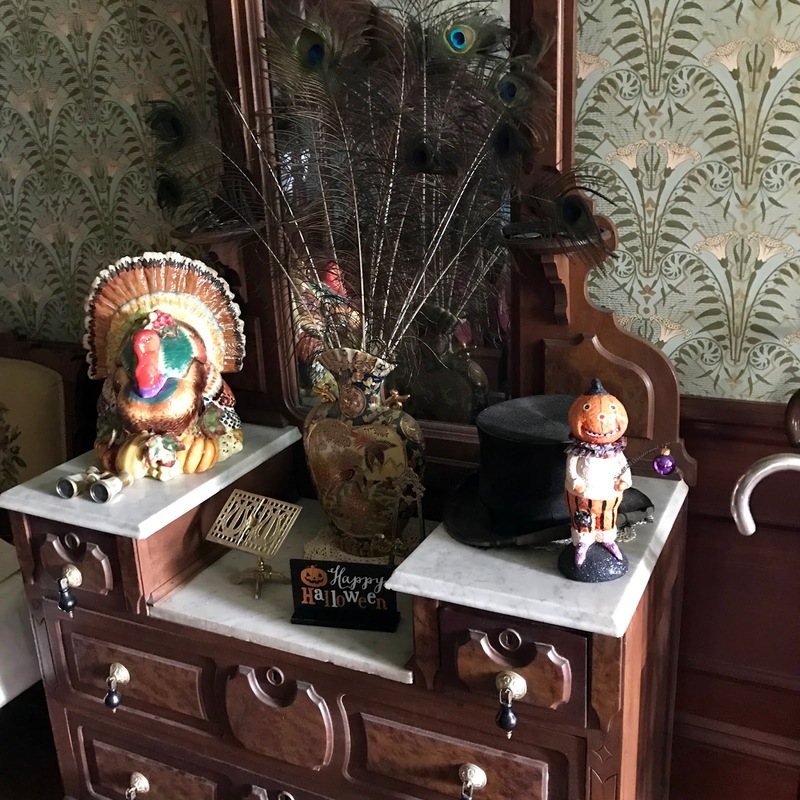 The mantle and the rest of the room have lots of Fall Decor! 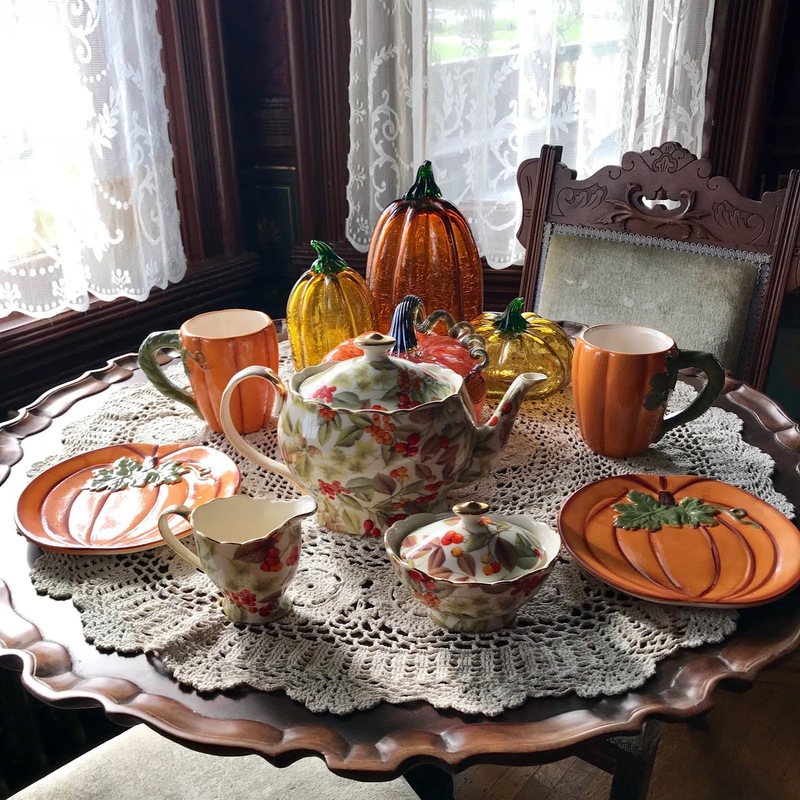 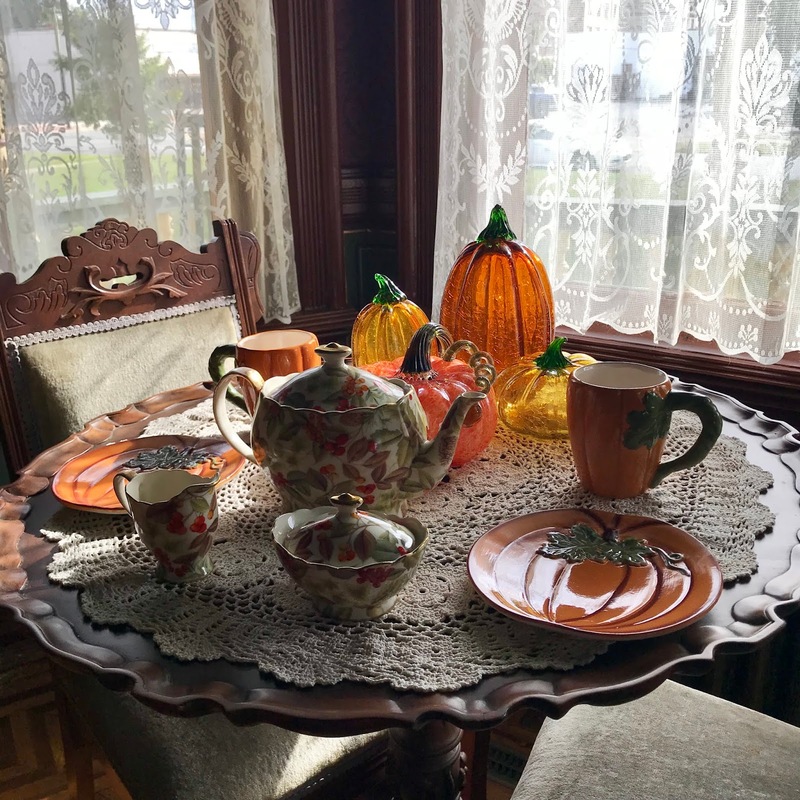 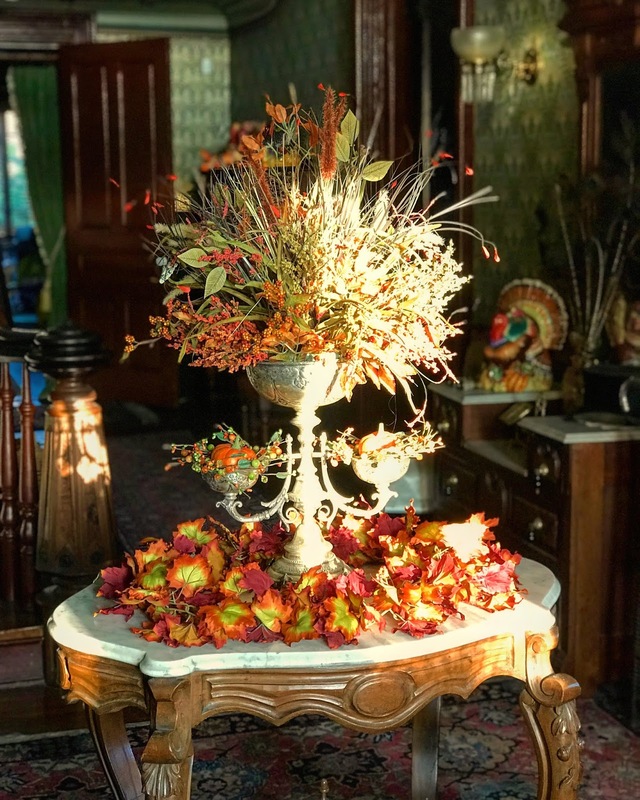 In the Parlor, I have my tea table set for an Autumn Tea Party! And the Foyer is decorated as well! Here's hoping you have a very Happy Halloween with nothing but Treats!